The first thing you must check is the relevancy of the link. 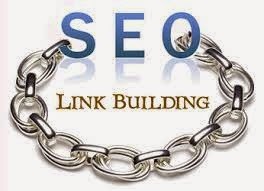 If the blog or website from which you want to get a backlink is not related to your blog OR not relevant to your blog then the quality of that backlink will not be good. For example if your blog is about “Make Money Online” and you are trying to get a link from “Photography Blog” then link will have less quality. So always try to get relevant backlinks for your blog or website. Before getting link from any blog or website first check its reputation in search engine. Search the whole URL of the blog or website in all search engines. Check if its is banned by any search engine or not. If every thing is fine then go for it. Although there are different school of thoughts about Page Rank. However High PR plays very important role in getting high quality backlinks. If the blog or website has PR 8 then it will not only increase your blog PR, but improve your SERP. The good technique is to get links from relevent high page rank dofollow forums, blogs and websites. Alexa Rank also plays vital role in getting high quality backlinks from a blog or website. If it has good alexa rank then go for it. It will increase your alexa rank, because you will get hits from the blog and thus your alexa rink will improving with the passage of time. These are some of the factors which will determine weather it is good to get a backlink from a blog or not.